Who’s going to believe a talking head? Get a job in a sideshow. Short version: I was lucky enough to grow up during the horror boom in the 1980s. Here’s the result! Longer version: I’m working on it! Really. This page is a work in progress, since I cannot figure out how the hell to turn it into a draft before I’m finished. Looks like instead, I’ll be adding awkwardly to this page as I compose it. I wanted to get the basic blog info down (so I could perhaps, oh, advertise it or send emails telling people it exists in the first place) and the first part of my dedications and appreciation out here as fast as I could. The following two blocks of text contain some dedications you may find sappy. For some reason, though, I don’t feel like a sap writing them; instead I just wish I’d put them down here sooner. 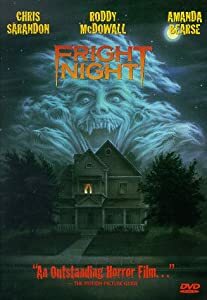 Consider yourself warned, and if you’re already doing some eye-rolling, then skip them and start reading again after the Fright Night DVD cover art. Easy! First of all, this blog is dedicated to the memory of two people who have both passed, but never have and never will be forgotten. To my mother, who was my first best reader, among many other things. I remember asking her whether I should give up trying to be a career fiction writer, because the chances of being published as a new author were depressingly small. She told me that it was a decision that I could only make for myself. She also told me to never quit trying to write as long as it made me happy. With the …how can I put it tactfully …current economic climate of publication (especially on hard copy, with pages to turn and a front page you can have the author sign for you at appearances)- now worse than then, it’ll probably be untold years before I get either of my novels published in commercial form (vanity presses don’t count), why the hell would I wait till then to dedicate something I wrote as a labor of love and passion to her? I may write/use quite a bit of R-rated material in this blog, but my rule of thumb is to never post anything that would make her disappointed with me. Hearing the dreaded “I’m disappointed in you” from a parent is so much worse than “I’m mad at you,” as you may have learned growing up). For Joey, who also told me to keep trying. OK, it’s not like he raised me, was my mentor, or talked to him regularly on the phone, but he told me in other ways…and once in person. 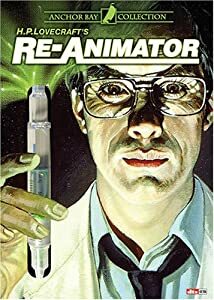 Or, as the X-files put it, “never give in, never give up, and never sell out.” Over ten years since all us fans lost him, and I still miss him. And he’s not dead. Guys like him, they live forever. (credit is due to the writers on The X-Files on that last part). “Oh, you’re so COOL, Brewster!” Welcome to Fright Night …for REAL. The cool logo I never really got to use. Crafting and coloring it in was fun as hell, though! Thanks to everyone who asked about my blog (and weren’t just being polite, as far as I could tell.) My incredibly cool brother David (who also gave me my first H.P. Lovecraft book of short stories), his sweetheart Sharon, and my homegirls Carter, Carol, Connie, Beth and Annie. An equally big thanks to all the cool people I’ve met on Get Glue -MASSIVE gratitude to Donna, Pete, and Cindy–who asked for the link and then checked it out (and left the first comments that weren’t spam). If you’re one of my Get Glue buddies and I forgot to mention you by name, it doesn’t mean I didn’t appreciate it. Oh, and “Ten Fucked Up Things That Happen on Spartacus” is gonna show up, I promise! Thanks to Matt Van for getting me out of the house to go see Freddy VS. Jason (and putting up with me emitting high, girly screams (I am a woman, but I sounded like I was in 4th Grade at the time) at least twice when we saw “Signs”. Thanks to Dave Barrow for, among other things, going to see Saw – The Final Chapter 3D with me- there were us and exactly two other people in the auditorium, who I went over and talked to, then we all made an agreement we could pretend we were at home watching in our living rooms, which led to all four of us yelling HOAH! at the top of our lungs more times than I can count. We lost Dave suddenly on Memorial Day of 2013, and we think of him every day. Thanks to my big sister Vickie for taking me to so many R-Rated horror movies in the 80s when I was under 17! Plus quite a few after I hit 17. If it weren’t for you I wouldn’t have gotten to see Nightmare on Elm Street, Return of the Living Dead, Fright Night, Nightmare on Elm Street 2 (surrounded by a stoned yet disappointed audience, whose talking back to the screen was more memorable and amusing than the movie), Re-Animator, Day of the Dead, and many MANY more 80s horror classics in the theater. 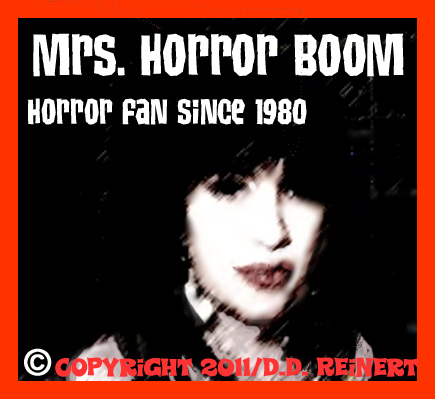 Thanks for reading Horror Boom! You guys rock. An upcoming design from an upcoming store. Hey, I’d wear it! CONTACT: horrorboom@gmail.com. Please allow a few days for response time. Thanks for writing! Hi, this is Bob Barber I see you were looking for some more info on me. You will not find much out there. The only work I have done like this is w/Josh. I am glad to hear you enjoy the photos. Brilliant page you have going on here. More informative than anything I’ve read so far on certain topics. Great!! !